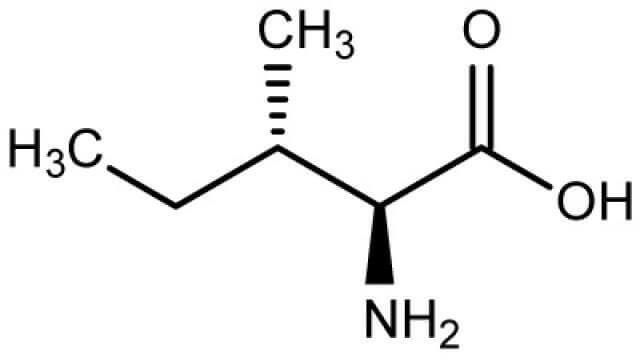 Isoleucine is one of the most important amino acids for athletes, along with leucine and valine. Those 3 amino acids combined make up about 70% of your body’s total proteins. Isoleucine in particular is a branched chain amino acid that helps with your energy levels, endurance, and muscle tissue recovery. If you’re an athlete, you need to be getting a decent amount of isoleucine, either from your diet or through supplements. Like other amino acids, it’s trickier to get on a vegan diet, although it can still be done if you eat the right foods. That’s why I looked up the nutritional data of 120+ vegan whole foods in the USDA database. The lists below are the top vegan sources of isoleucine, and it’s a pretty exhaustive list. Before you look at the charts, keep in mind that the minimum amount of isoleucine recommended per day is 19 mg per kg of bodyweight. So for a 77kg (170 lb) adult, that’s 1463 mg, or 1.463 grams. That’s the minimum for an average person, but if you’re an athlete you’ll want to try and get more. This first table is in order of how much isoleucine is in a serving of each food. This is independent of calories. The table lower down on the page takes into account calories, rather than serving size. Use that one if you’re on a cut and are restricting calories. For the most part, the top results here shouldn’t be too surprising. Most of the top results are legumes (beans, lentils, peas, peanuts), which also have a lot of protein. Beans have a well-rounded amino acid profile as well. What may be a little surprising is that there are a few grains near the top as well. Oats and buckwheat groats are both in the top 5, even though that grains have small amounts of protein in the first place. The second way to look at the data is by ordering the foods in terms of how much isoleucine they contain per 100 calories of the food. This could be more than one serving, or less. Legumes still do well on this list, but the top 10 spots or so are taken by vegetables. Most of these are leafy greens like swiss chard, watercress, bok choy, spinach, kale, etc. Obviously they don’t have a ton of protein in them, but they have a relatively high amount of isoleucine, and a low amount of calories. You would have to eat several servings to meet your RDA, but it’s an option to help you get there.